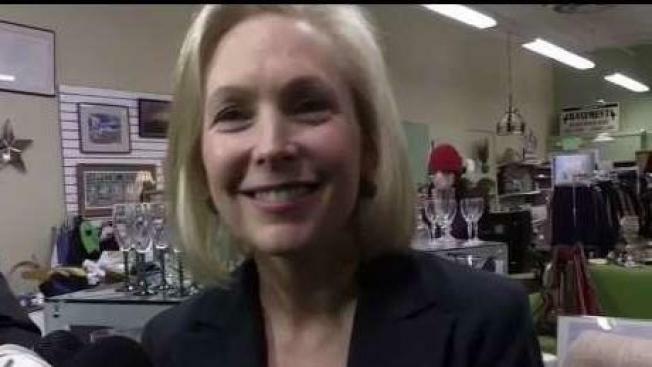 Senator Kirsten Gillibrand, in her second day of campaigning in New Hampshire, issued a rebuke of what she called President Donald Trump's divisive language. The New York senator and Democratic presidential candidate told a crowd of about 450 people Saturday at Dartmouth College, her alma mater, that the president's worst offense since he was elected has been to "dehumanize people'' and create a climate of fear and hatred, especially toward immigrants. Gillibrand, who took questions from the audience, said she favors a single-payer health care system modeled on Medicare and would take on climate change by incentivizing the creation of renewable energy. She added that she was optimistic that "common sense'' gun laws would pass now that young voters are calling for change.